Join us at Bowes Creek Country Club for a fun and worthwhile event benefiting the Recreation Youth Scholarship Fund on Saturday, September 14, 2019. Bowes Creek Country Club will provide a beautiful backdrop for this unique event, which will feature Home & Craft brew tasting, food trucks, and raffles. The event will start at 3:00 pm for the VIP ticket holders and 4:00 pm for all other ticket holders. The ending time is 8:00 pm. This event is for ages 21 and older. Tickets purchased in advance are $50 for our new VIP Package, $35 for the Ample Ale Package, and $15 for the Designated Driver Package The day of the event the cost will increase. Buy your tickets now and plan to join us for this exciting event! 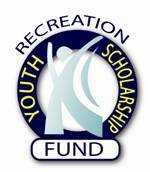 The Youth Scholarship Fund is used to provide recreational opportunities for children whose families cannot afford to have them participate. If you'd like to sponsor this event, contact Randy Reopelle at 847-931-6127 or email to reopelle_r@cityofelgin.org.